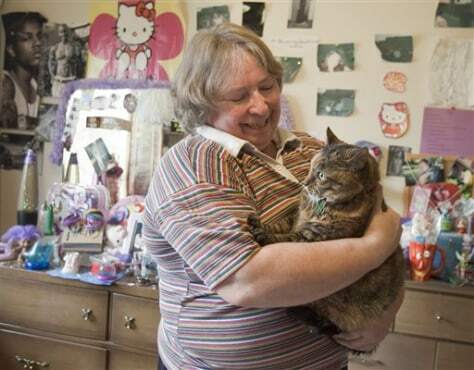 The mother of an 18-year-old daughter, who asked not to be named to protect the identity of her child, holds her daughter's pet cat, Patches, as she stands in her daughter's room, in Lincoln, Neb., on Wednesday. After recent bad behavior by the daughter, the mother said she felt like she had no other choice but to leave her at a hospital. The hospital authorities refused to take the teen because she was over the age of 17.